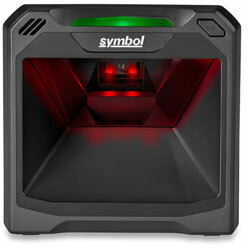 Zebra has introduced their new Symbol DS7708 2D vertical slot scanner. The compact DS7708 is easy to install and ideal for wide variety of retail applications including food retailers (grocery stores, supermarkets, hypermarkets), specialty retailers (Do-It-Yourself, hardware, pet supplies) and pharmacies where it can help improve efficiency and customer service at the point of sale. Protect sales and improve customer service with the power to ring up purchase faster than ever with the DS7708.